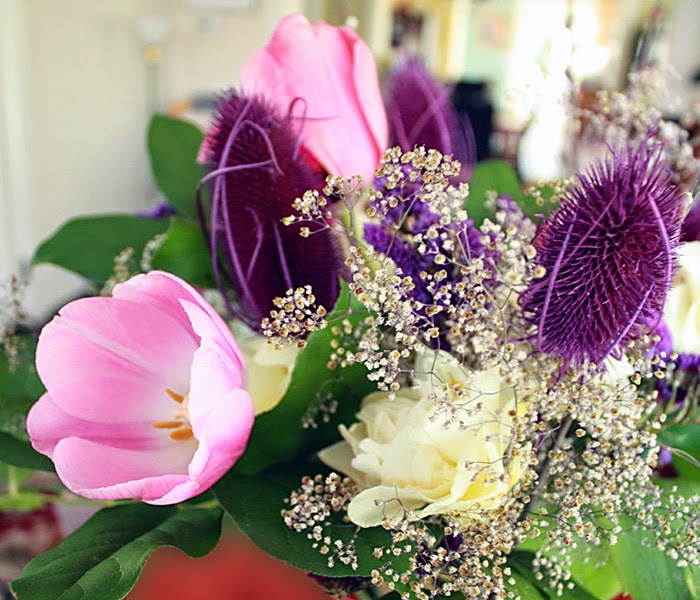 Flowers brought by our guests. We had a little dinner party recently and the plan was a simple soup and salad supper with an appetizer. You know how that goes; "hmmm, maybe we should have roasted brussels sprouts with the soup. Maybe I should make more than one appetizer," etc. I was thinking that when the main course was served, the appetizers could go onto the table and blend in as part of the meal. So the dinner party is over and we're still eating the food — not that I mind, of course. I like leftovers. We ended up with soup, salad, roasted brussels sprouts and bannocks for the main course, a hot nacho dip with chips and raw carrots, mini-omelets, a sliceable vegan cheese with two kinds of crackers for appetizers, and great brownies (minus the walnuts) from Oh She Glows, for dessert. Read on for photos and links to recipes. 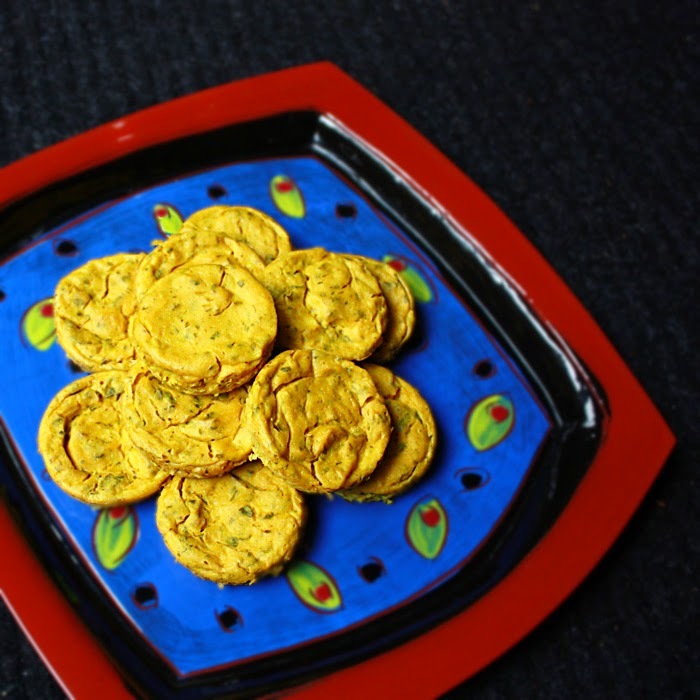 The soup, called Aash-e Reshteh, was inspired — copied actually — from the Persian New Year Celebration featured at Vegan Eats and Treats. 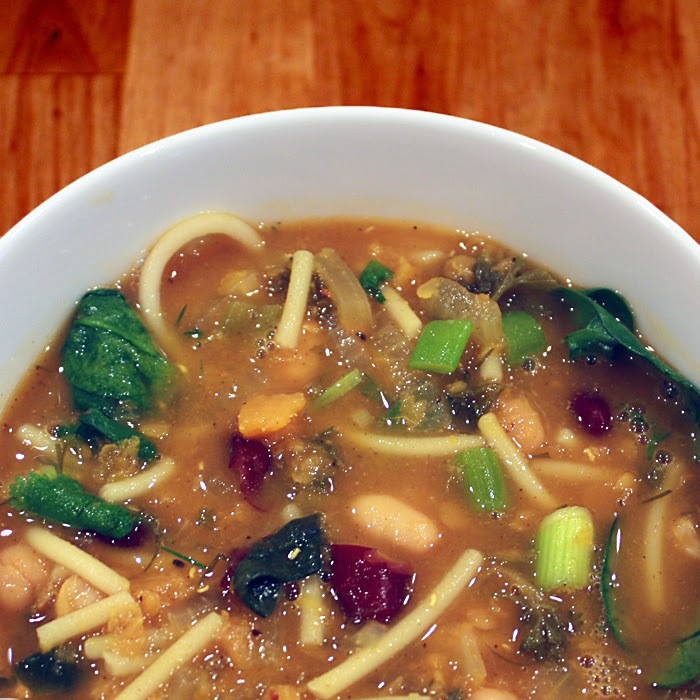 If you follow the link, there's another link in Amey's post to the recipe. My husband made the soup, and he says the reason Amey's soup is more red is because he used a golden beet instead of a red one. Maybe. Her soup also looks thicker to me. In any case, it was very good soup, though a tad labor intensive. Amey also inspired me to make muffin pan mini-omelets from Isa Does It as one of the appetizers. When Amey made them for her dinner party, she added cupfuls of fresh herbs to make the little omelets more suited to a Persian New Year celebration, so I followed her lead and added parsley, dill, green onions and spinach to mine, and they were pretty green. 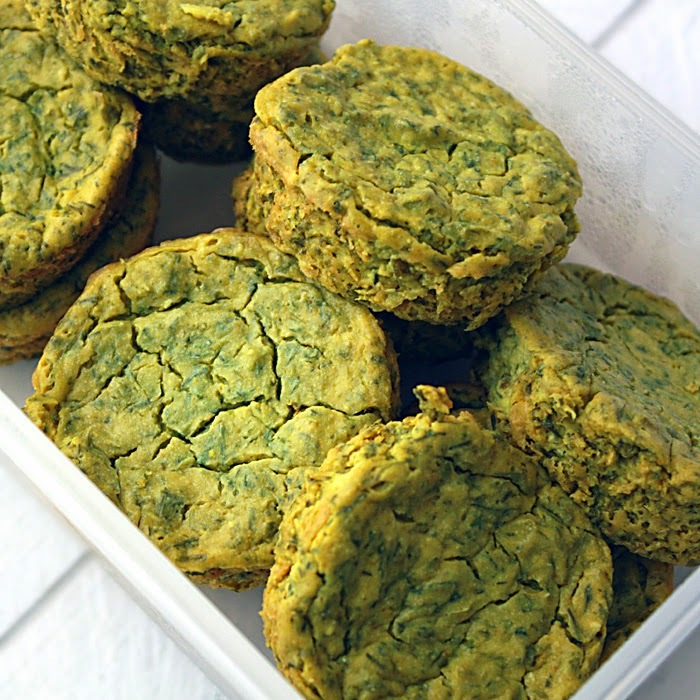 They seemed softer, creamier and less springy than the ones I had previously made with fewer herbs, but they were delicious, and a big hit with our guests. And they were so easy to make. I made them about an hour ahead and we ate them warm. The leftovers are great cold. A couple of weeks before hosting the party, I made a batch of mini-omelets to try out the recipe. I added a few fresh herbs I happened to have — basil, oregano, chives, plus green onions — but not nearly as many as for the party — and loved the results. The omelets you see in the photo above are closer to the original recipe than the ones served at our party. Both versions were wonderful. If you don't own a copy of Isa Does It (and you should! ), I've found you a link to the recipe for muffin pan mini-tofu omelets. I'm limiting myself to no more than two or three recipe links per post, and I've reached my limit, but I'll share more party ideas in a future post. Do you get carried away with food choices at parties? Do you have a favorite easy appetizer? 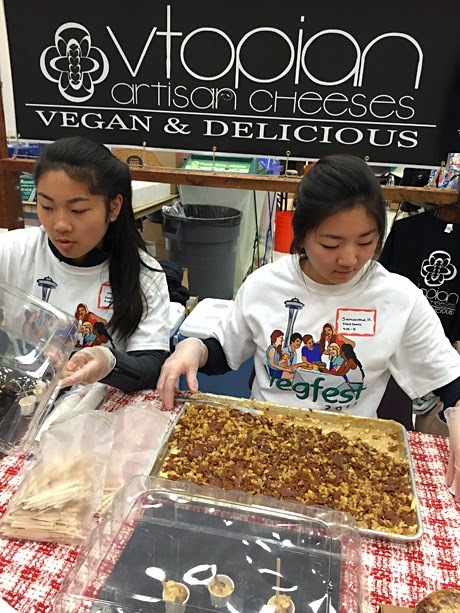 I've been told that Vegetarians of Seattle was the first group to coin the name "Vegfest." Now, it seems everywhere you turn there's a vegfest going on, one more bountiful than the next. I'm not complaining; the more vegfests there are, the more people are exposed to the idea of following a plant-based diet, and the fewer animals have to suffer. 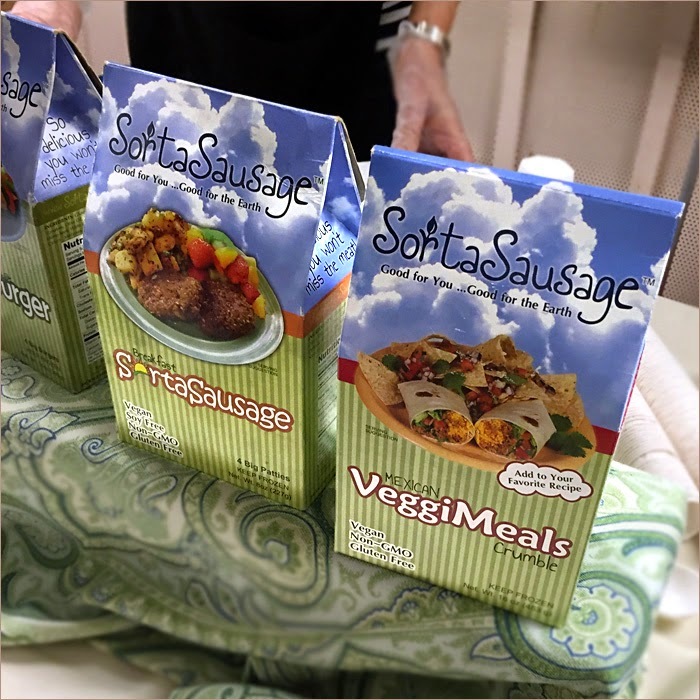 Of course, I'm not sure I've ever seen an actual vegetable at Vegfest, but rather a mind-boggling array of edible products made without the use of animal-derived products. 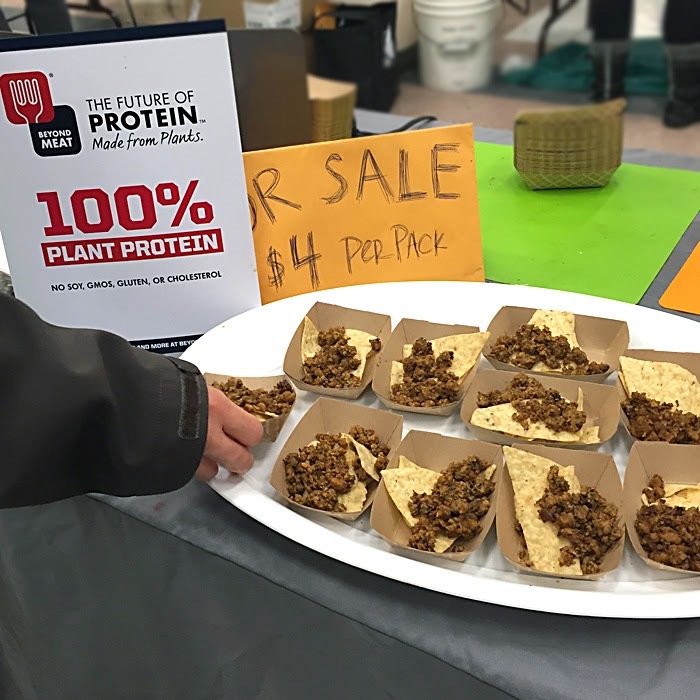 Seattle Vegfest wasn't entirely vegan, but it seemed that more items than ever were vegan this year. And a large number of the products were gluten-free as well. 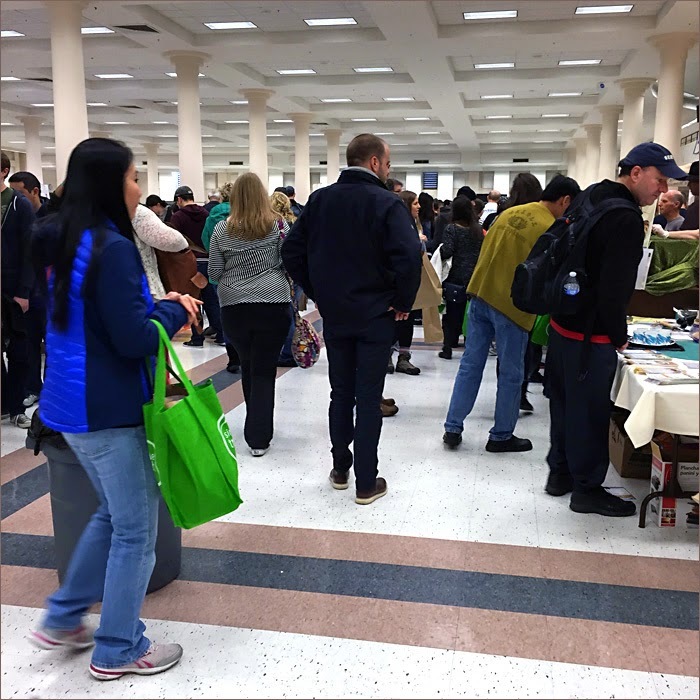 This year our plan was to attend two cooking demos, then wander the hall tasting the products that were most appealing to us. Miyoko Schinner did a demo on vegan cheese, of course. She made two things — a butternut squash nacho cheese sauce, and a cream cheese and lox spread. I have actually made the smokey chipotle no-queso nacho sauce before (recipe on page 63 in Artisan Vegan Cheese, or by following this link) and it's delicious, and I've made the cashew cheese (Artisan Vegan Cheese) but haven't turned it into a lox and cream cheese spread ... yet. Miyoko was very entertaining — even singing to us. I had no idea she was a singer, but apparently, at one point in her life, she sang jazz in clubs! Huh. You can watch her make the nacho sauce in a video from her TV show, above. I've written more about making cheese from Artisan Vegan Cheese, here. Similar to, but not exactly, the spring roll from the demo. Our second demo was by Chat Mingkwan, who has written a whole slew of Asian Fusian cookbooks. He made fresh spring rolls and a spicy dipping sauce. I thought I knew how to hold my chef knife, but now, thanks to Chat Mingkwan, I know I've been doing it wrong. What a difference it makes to hold it correctly. Tonight as I type, my husband is in the kitchen making pho from the new Vietnamese Fusion cookbook he bought at Vegfest. I wish he were making spring rolls to go with it. 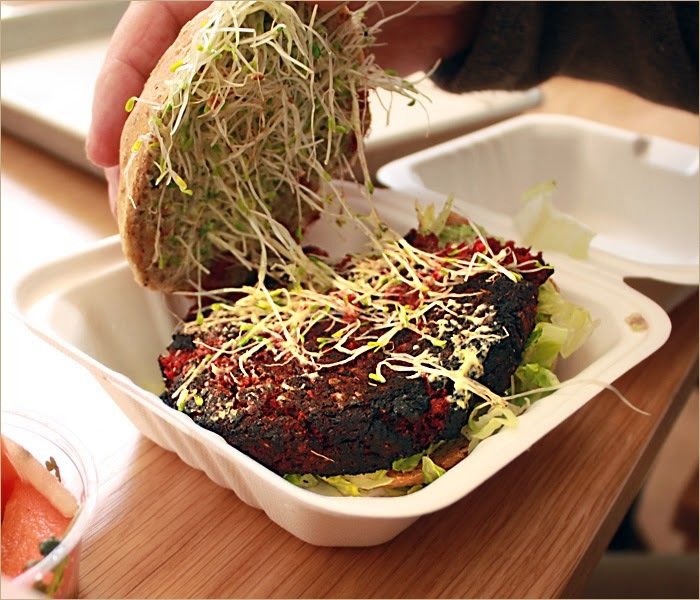 Here are a few of the vegan foods we sampled at Vegfest. I'm not really a great fan of vegan cheese — maybe it's because I never was a big dairy-cheese eater except for mozzarella and sharp cheddar. Maybe a little brie. Or maybe it's because I've been vegan so long I don't crave dairy cheese anymore. 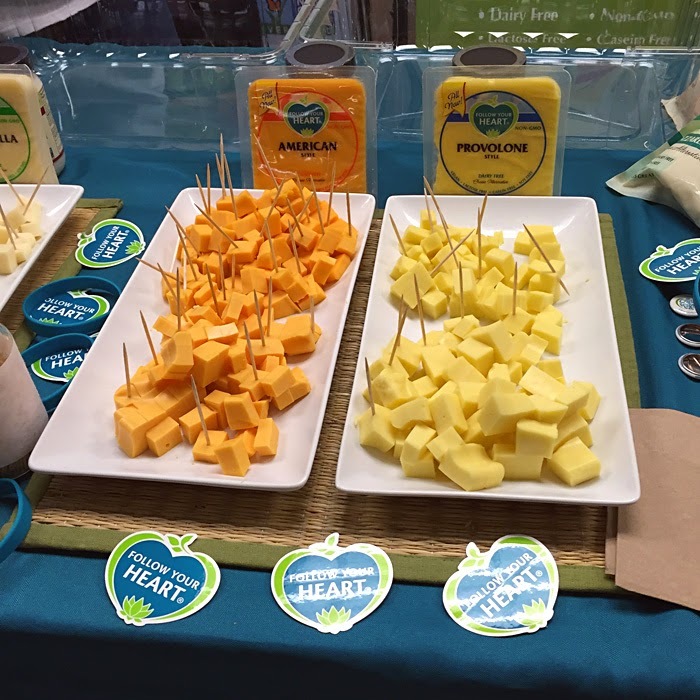 But, I always taste the cheese offerings at Vegfest, just to see if any of them can change my mind about vegan cheese. 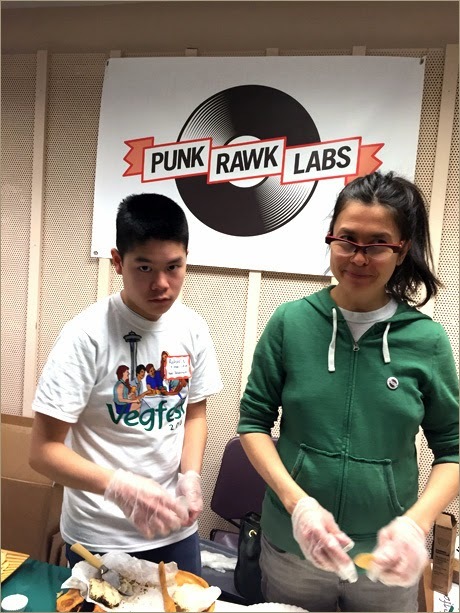 I LIKED the Punk Rawk Labs cheese — a lot. Punk Rawk Labs is owned and operated by three women who make fermented nut cheeses in Minnesota, and if you want vegan cheese, try some of this. I also liked Vtopian cheese. And Miyoko's Creamery double cream chive, which had a lovely sweet and mild creamy taste. I was curious about the new Follow Your Heart block cheeses. Follow Your Heart has always been the vegan cheese I liked best in the past. The provolone I sampled at Vegfest wasn't bad, though not as flavorful as dairy provolone, but the mozzarella was spot on. I'm not comparing it to fresh, artisan mozzarella, but to a standard cheese you might buy in the supermarket. Eating it plain was appealing in both taste and texture. What isn't appealing to me is the ingredient list. You may not feel this way, and I respect that, but I can't see any reason (for me) to eat it when there are so many delicious, real foods to eat instead. I'd rather eat a fermented nut cheese, but if you are absolutely craving a mozzarella fix, try Follow Your Heart. The factory is solar powered, and the company is extremely ethical in all its practices. What you're looking at is sipping broth. It's meant as a satisfying snack instead of a mug of tea. It was really delicious, and maybe I could get used to sipping broth. If you're into vegan meats, you would probably like Beyond Meat. 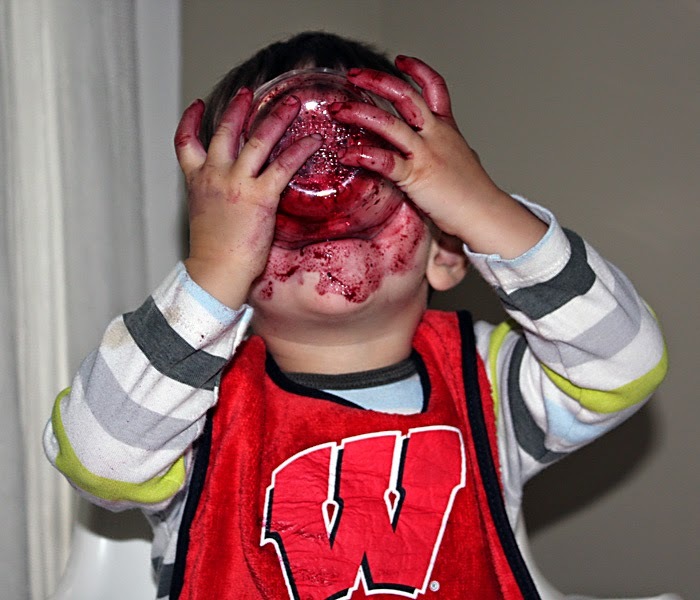 It had a very good taste and texture. Might as well include the Sorta Sausage here, too. I'm sorry to say I have no memory of eating it, but my husband says it tastes sorta like sausage and is sorta good. I had a little shock when I picked up and consumed a small cup of probiotic drink at the Firefly table. It was exactly like drinking sauerkraut juice. 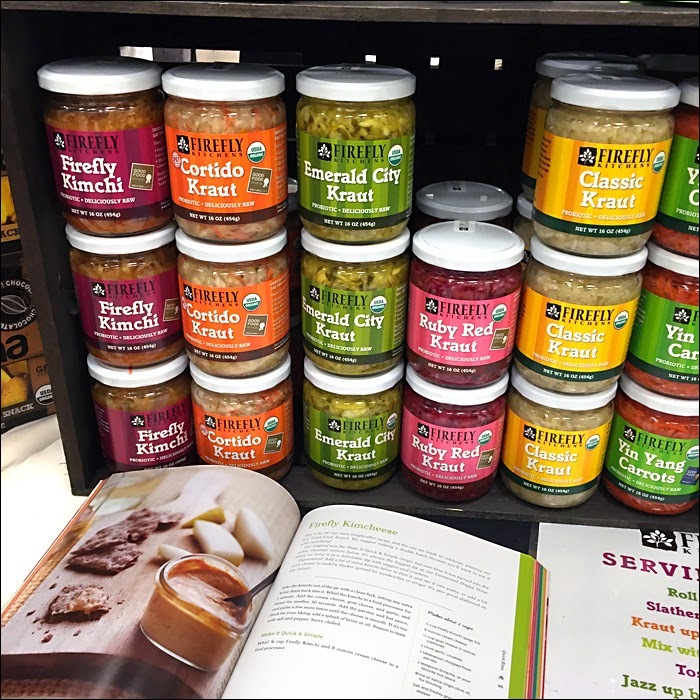 I probably won't be buying any, but I like other Firefly products a lot — especially the kimchi. It's made here in Seattle. Do you see the book in the photo? It's a book about fermentation written by the people who make Firefly cultured foods, and I have a copy sitting on my pile of books I'm supposed to review. One of these days. One of these days. 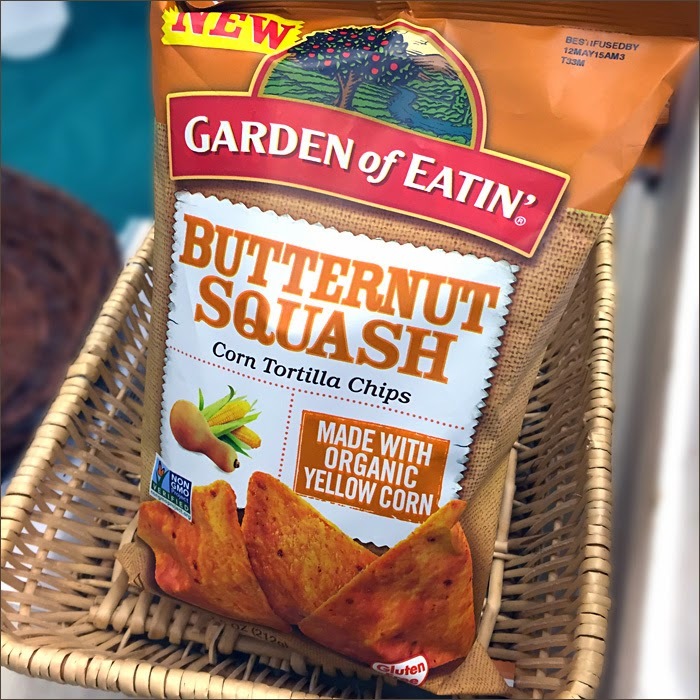 I don't know how much squash is actually in a serving of chips, but they sure tasted good! 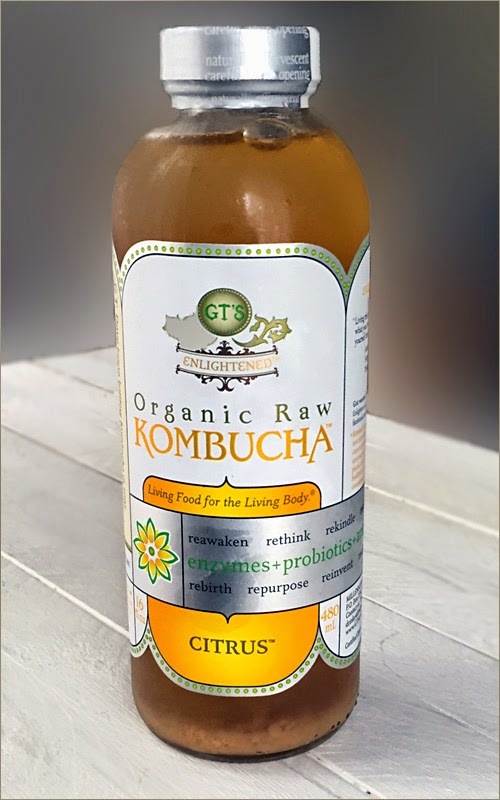 GT's is our favorite brand of kombucha, and ginger is our favorite flavor. We went back to the GT's table quite a few times to sample the kombucha in between our other indulgences. The citrus tastes a lot like the ginger, and also is an excellent flavor. The Purple Sunrise breakfast cereal was a pleasant surprise. After indulging in chips, cheese, ice cream, etc., the little cup of cooked mush required will power to consume, but I'm glad I made the effort. It's made on Camano Island, not far from Seattle, and I'm going to include a blurb from their Web site rather than try to describe it myself. Purple Sunrise™ – The hot cereal that tastes like cookies. Whole Grain Gluten-Free, an exotic blend of rare ancient grains, nuts and rices. 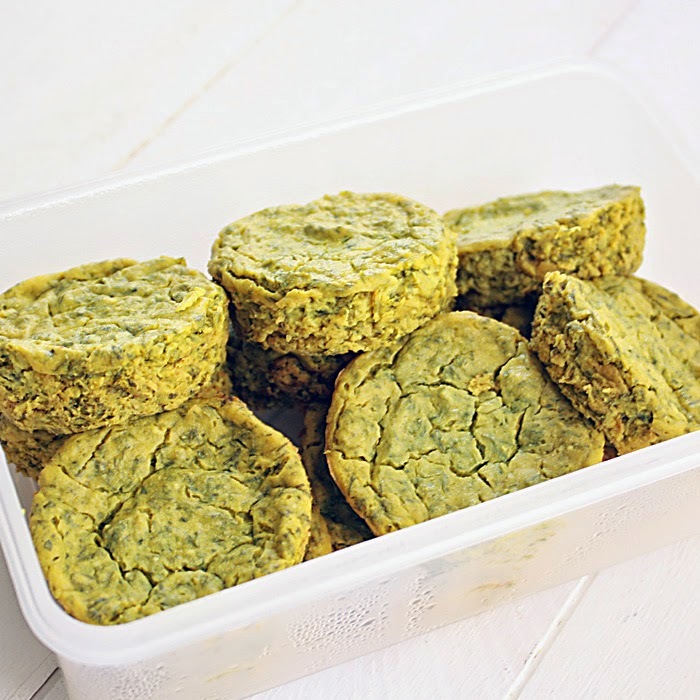 It is a SUPERFOOD powerhouse with knock-your-socks-off taste. This isn’t your mother’s oatmeal. 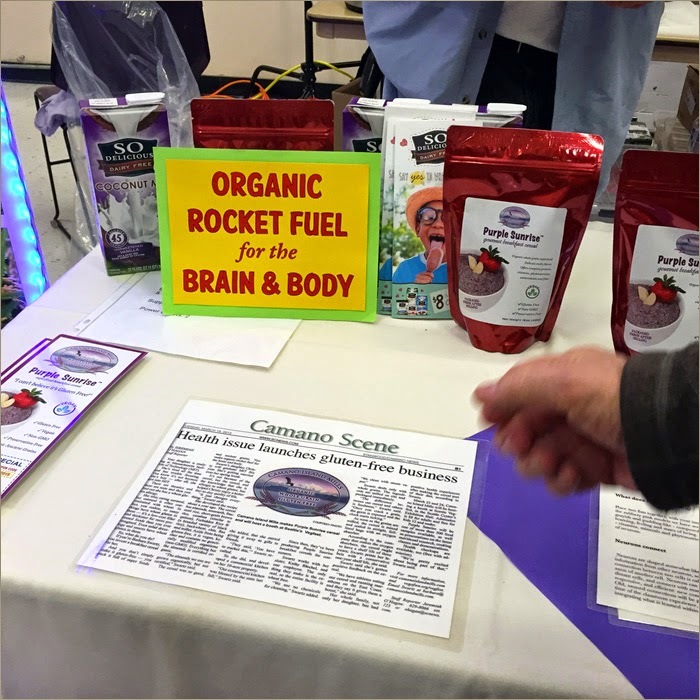 In fact, it is great for people who may want an alternative to oatmeal. Purple Sunrise contains an ancient rice that only Emperors were allowed to eat, hence the name “forbidden rice” and the purple color. 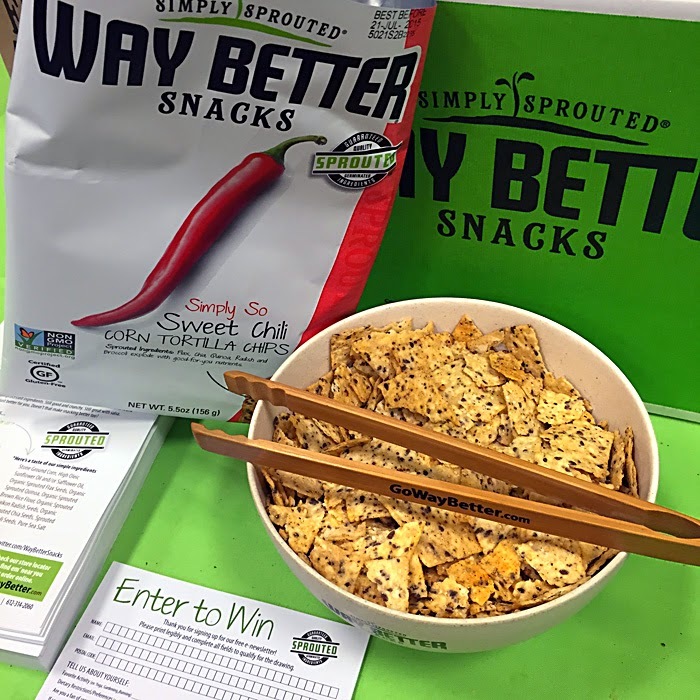 You can have this incredible superfood and 9 other grains or seeds in one powerhouse cereal with taste that will knock your socks off. Take the best certified organic ancient grains and rices, mill them and package them in just minutes from the process, add an oxygen absorber and put it all in a high-barrier foil bag and you will have the freshest tasting cereal available. If you like the taste of Mandel Bread, you will love this cereal. 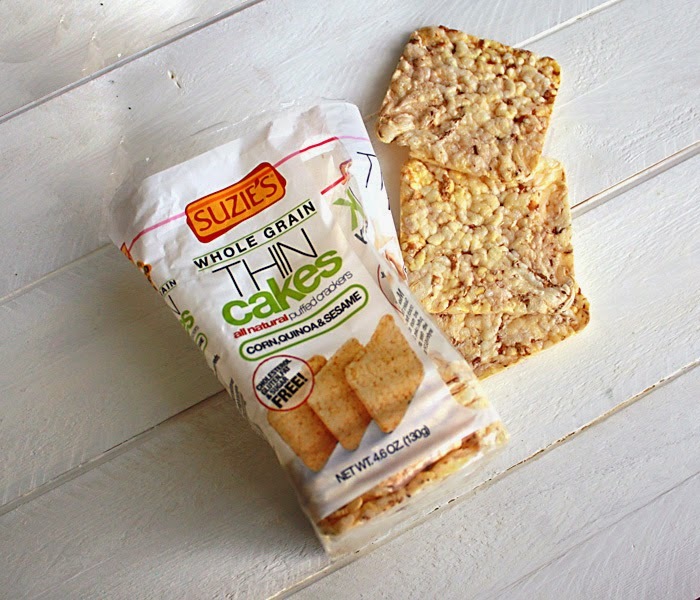 100% Certified Organic Grains and Seeds, Non-GMO, Vegan, Non-Oat, and Gluten-Free. No wheat or animal products are used or have ever been used in any part of the production process. 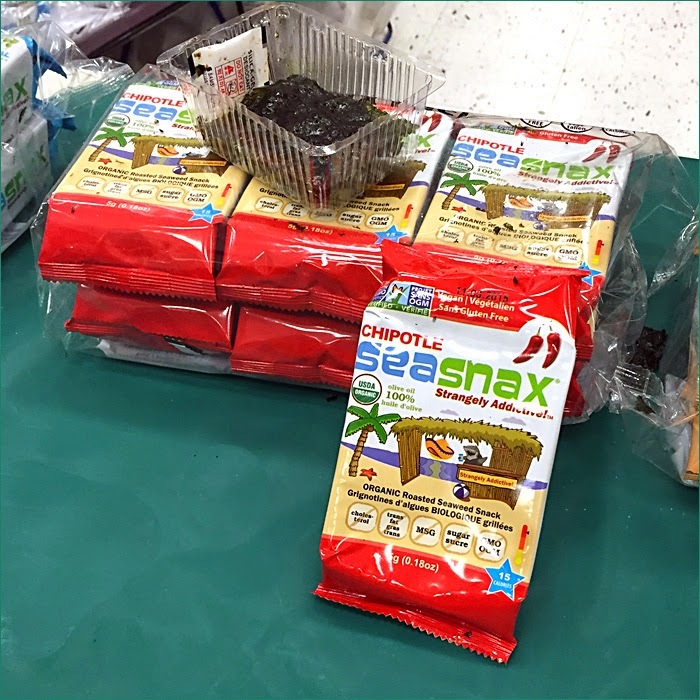 Almonds, Amaranth, Brown Basmati Rice, Short Grain Brown Rice, Canahua, Forbidden Rice, Buckwheat, Chia, Flax, Millet, with vanilla and almond flavors. No preservatives added. What would Vegfest be without So Delicious. 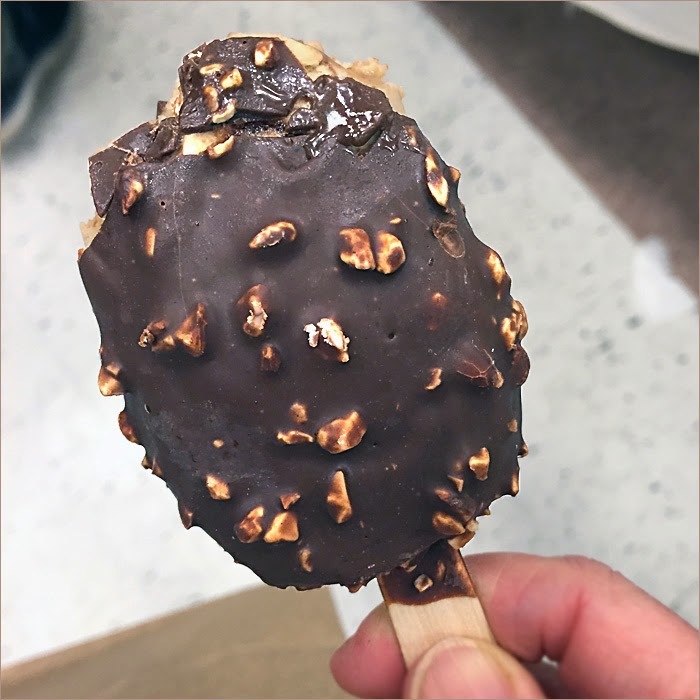 Seriously, I would have been mighty disappointed if I hadn't had my ice cream treat. I was hoping to try the new cashew milk ice cream, but had to settle for an coconut almond mini bar instead. Poor me. So delicious. Here's a snack I really liked — flavored nori. I tried the chipotle. The excess packaging is the main problem, though I was told the nori is also available in full sheets in family-sized packages. I don't know exactly how much the packages contain or what they cost. I tasted quite a few of the Way Better chips, and they were excellent. There were several flavors available, and I didn't really have a favorite. They were all good. I'm getting fatigued writing this post, and you're probably tired of reading it, if you've gotten this far, so I'll leave you with one last oddity. 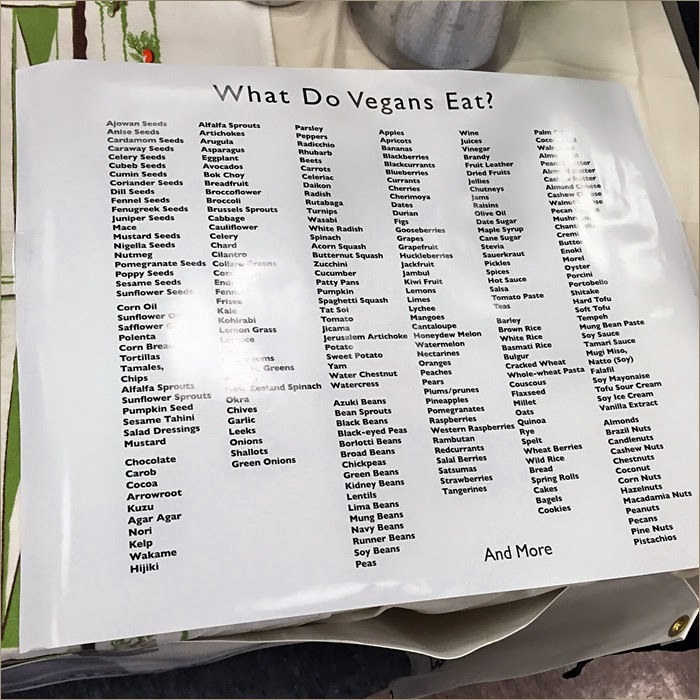 When I stopped by the Someday Farm Vegan B&B table to chat with owner, Jill, I was confused by a large poster she had laminated and put on her table. I had created a tee shirt with this design on the front many years ago, and I knew Jill owned one, because she wore it to Vegfest last year. 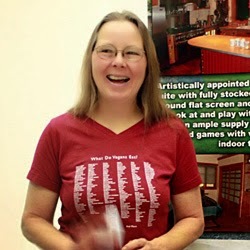 I asked her where she got the poster, and she said she'd had it printed at Cafepress, where my tee-shirt is for sale. Lots of people who stopped by her table wanted one! I felt bad that I hadn't made a more decorative poster, but I had originally intended the design to be on a shirt, and it was a lot to fit on as it was. I'll have to think about this and come up with a more poster-friendly design. By the way, if you're ever in the Pacific Northwest looking for a fabulous place to stay for a couple of days, I highly recommend Someday Farm B&B on Whidbey Island for wonderful accommodations and excellent breakfasts! I posted about my visits here, and here. We recently did a whole bunch of baby sitting for our grandkids while their Papa was out of town and their Mama had to play cello in the orchestra for a multi-night high school theater production at the school where she teaches music. One of our "duties" was to attend a talent show sponsored by Miss E's elementary school. Miss E is seven years old, and she is now brave enough to appear on a stage and perform. The concert had a number of singers, a guitar soloist, lots of dancers, a couple of cheerleaders, and a hula hoop demonstration performed by Miss E and two friends. I'm not saying hula hooping isn't a talent — it certainly is — and we and the rest of the audience were exceedingly entertained by the performance, but something about it triggered an old memory of a performance her papa gave when he was about six. He was a Suzuki violin student at the University of Wisconsin School of Music, and the recitals we attended for all the children from the youngest to the most accomplished, were impressive. They took place in a beautiful, small concert hall at the school of music. At the time he was learning violin, he was also obsessed with playing harmonica, and asked me if I thought he could play his harmonica at the violin recital. I didn't think so, but told him to ask his teacher, and the lovely Mary Beth Cullitan, after hesitating just a moment, said yes. Her goal was to encourage a love of music in whatever form it presented itself. So, at some point during the recital of classical string music, future-papa brought down the house with a polished and rousing harmonica rendition of Old Joe Clark. It was a weirdly thrilling parenting moment that I'll never forget. 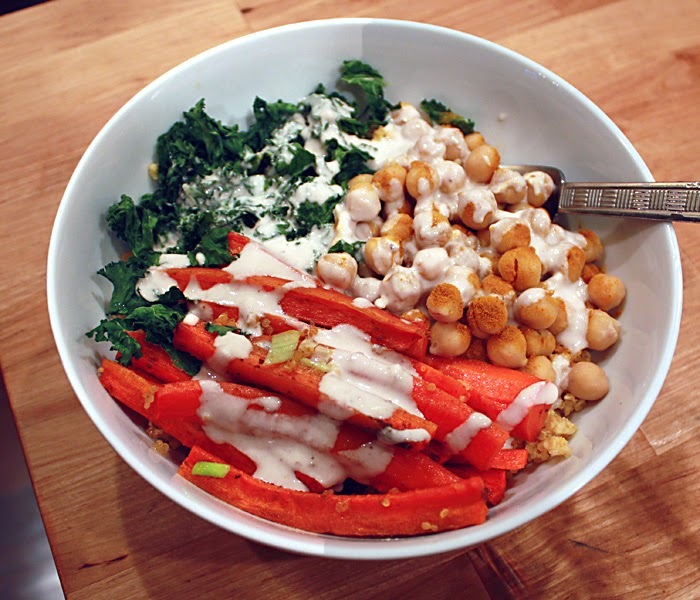 Roasted carrots and chickpeas plus kale and tahini-umeboshi sauce over millet. I love when a current happening unearths an old treasured memory, and I get to enjoy it again. 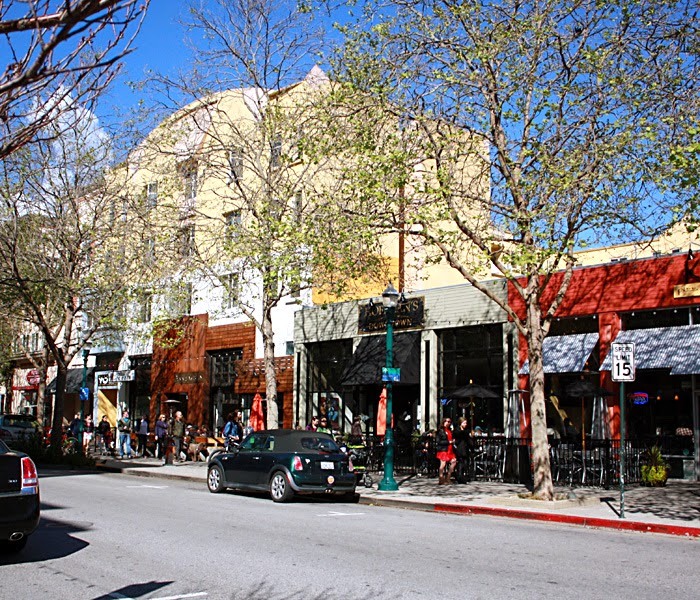 It's a little like when a recent event, in this case a trip to San Francisco and Santa Cruz, inspires a string of cooking choices that play on memories, and become new favorites, reminding me in turn of the source of their inspiration. 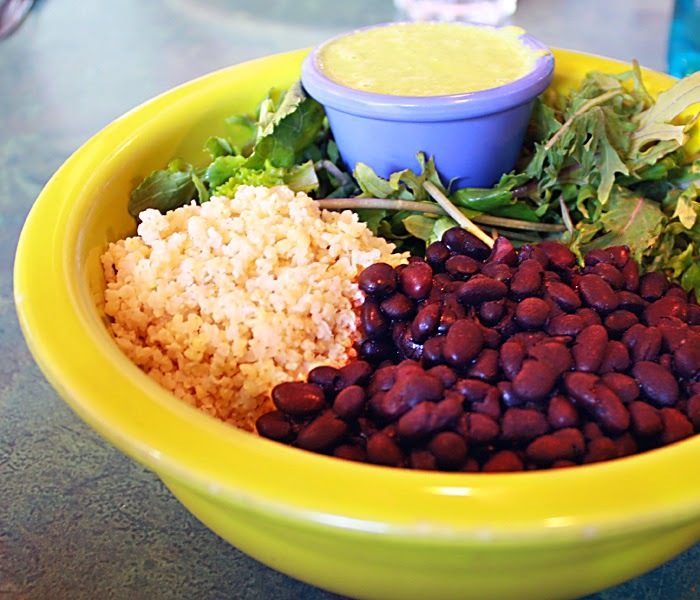 We were recently in Santa Cruz and I loved the lunch bowl I had at Café Gratitude so much I couldn't stop thinking about it. The grain in the bowl was millet, and I've become a little obsessed with millet, as you will see. Millet tends to be an overlooked food here, and in fact, most millet grown in the U.S. is grown for bird seed. Millet comes from a group of seeded grasses and is widely used for food in arid and semi-arid areas of the world. I like it a lot. 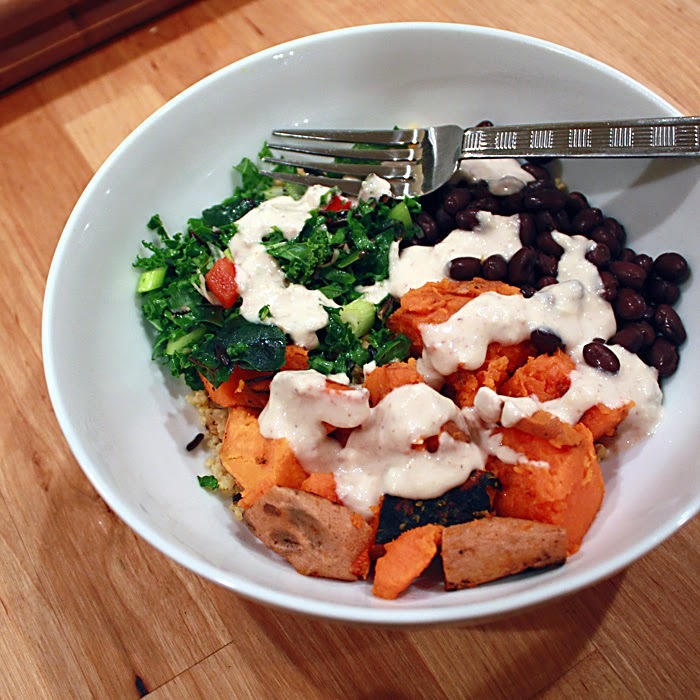 When we returned home from our trip, I made a millet bowl with roasted carrots and chickpeas, plus kale, topped with green onions and tahini sauce.It was so good it was shortly followed by a similar bowl with sweet potatoes, black beans and kale. 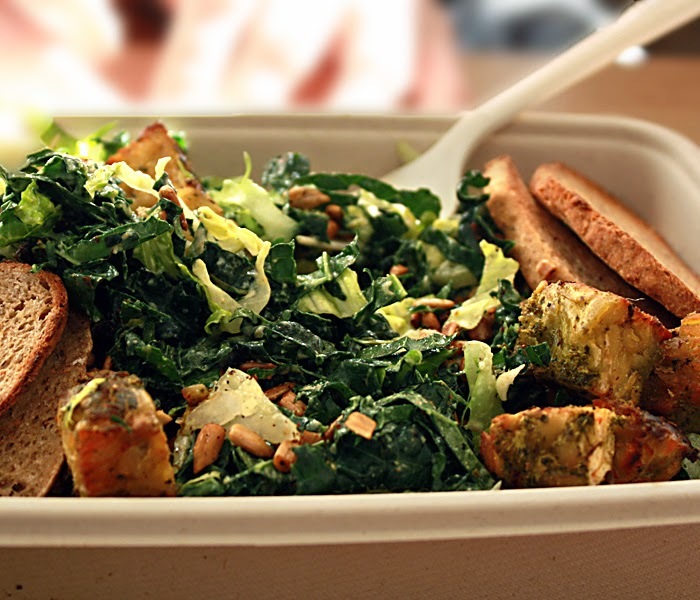 The kale for the bowl partly came from a leftover deli container of PCC emerald city salad. There was just a tiny bit of salad left so I added a bunch more green onion and chopped kale to the container, mixed it with the remains, and used it for my bowl. I also warmed it up. Although the emerald city salad is meant to be served raw and cold, it also makes a great warm salad. When I made the millet bowl, I made extra millet because I wanted to make millet burgers. 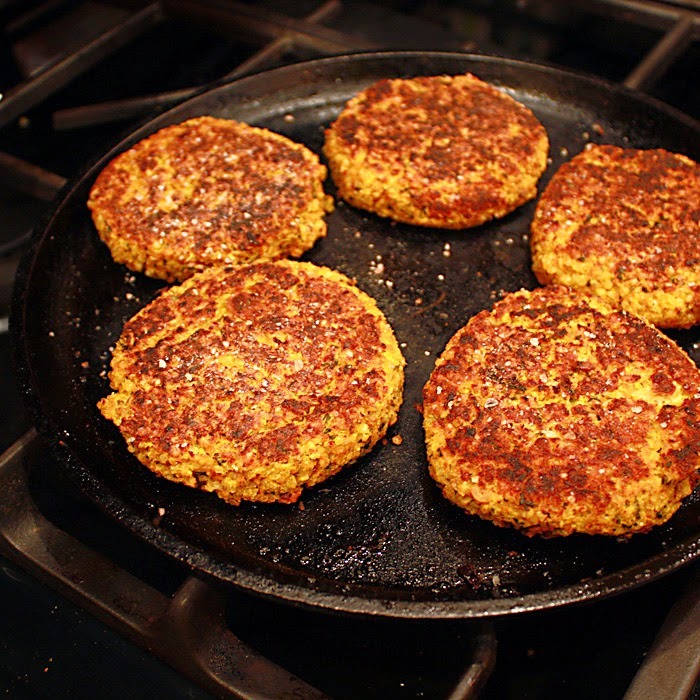 Millet has a chewy texture that seems just right as a base for burgers, and the patties were wonderful. I wish I had written down a recipe, but I was using up leftovers that were in the refrigerator, adding spices like a mad scientist, and I have no precise memory of what went into the burgers. I think there were a couple of carrots, a few mushrooms, a bit of leftover kale, some chickpeas, perhaps some ground flax seed, half an onion, and other stuff I can't remember. The burgers were browned on the stove, then baked. This is the way I prefer to cook — without recipes — but then when something turns out well, sometimes I wish I could make it again. 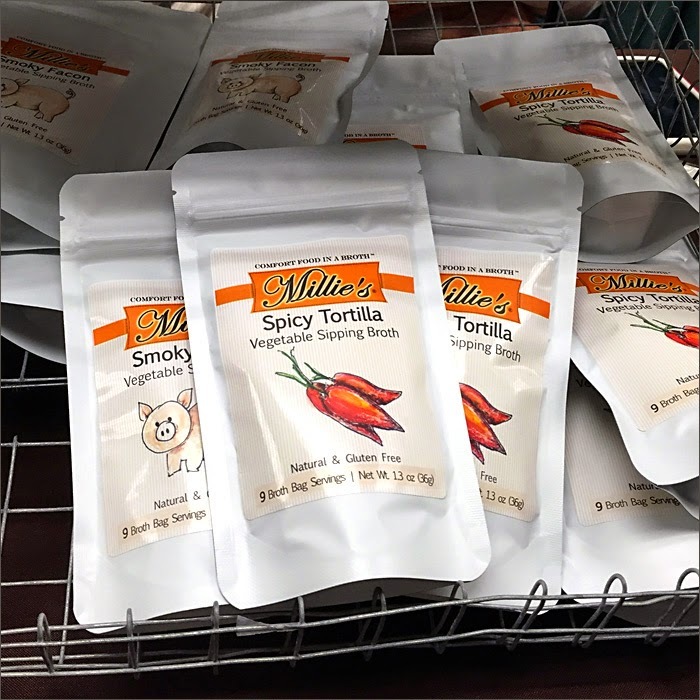 Do you ever cook with millet? I've read both pros and cons about its nutritional value, but I guess that's true of most foods these days. Sigh. The sky was really that blue. 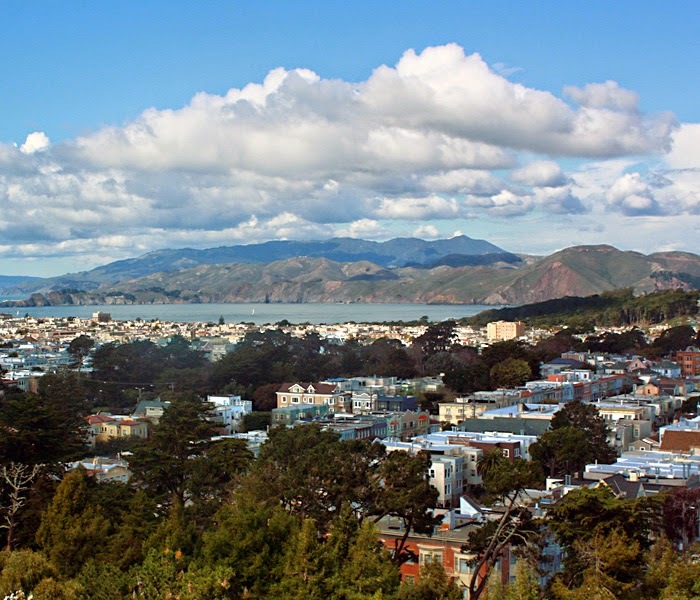 Usually when we go to San Francisco, we stay in or pretty close to the city — hiking at Land's End, exploring the Marin Farmers Market, wandering through the Botanical Garden in Berkeley, taking in the delights of the city — that sort of thing. But on this trip, I really wanted to see Santa Cruz, so on Sunday morning, we hit the road and headed South. 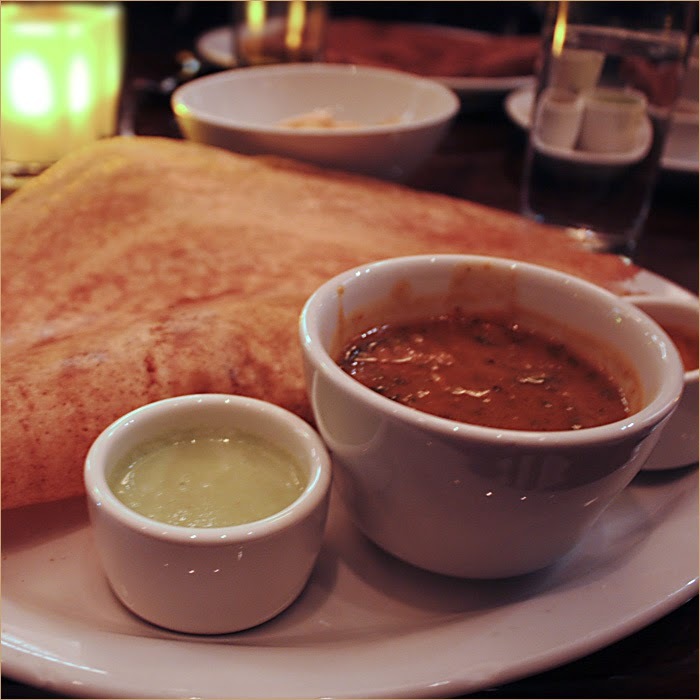 Before we left Seattle, I contacted Amey from Vegan Eats and Treats, to ask what she recommended we see, and working from her suggestions, and some favorite spots of Alison's, we had a full day's worth of places to explore and food to consume. None of the four of us are very good at random shopping — I usually have to be in the exact right mood to enter shops I hadn't been planning to enter — so we just walked the downtown streets soaking up the eclectic atmosphere, ogling the charming shop window displays and working up an appetite for lunch. There were several places we could have found vegan food, but Café Gratitude seemed like an excellent choice, and we headed there. 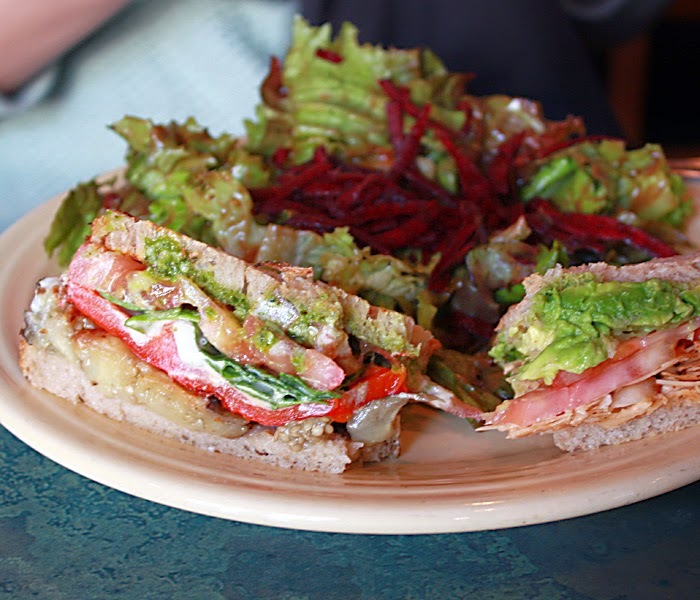 We'd dined at Café Gratitude in Berkeley, and really liked it. Alison had either a roasted vegetable sandwich or a BLT — can't remember which. 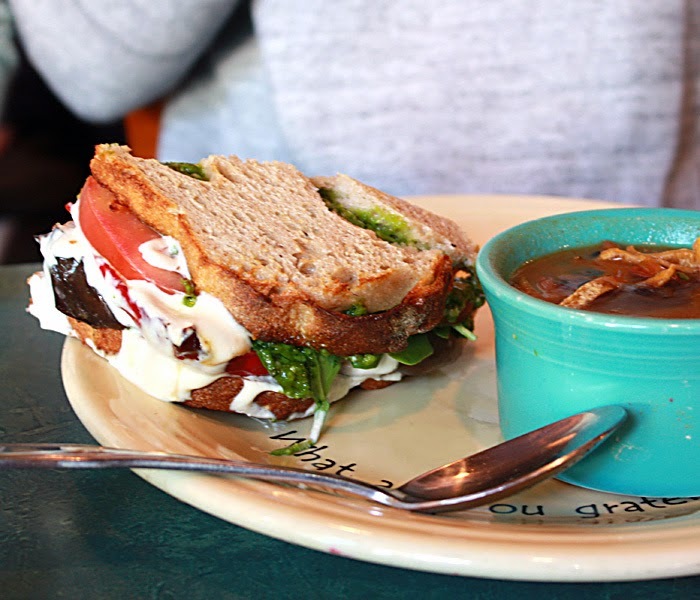 Jordan had his sandwich with a side of tortilla soup, and Ken had a salad with fig balsamic dressing, which he loved. I don't seem to have a photo of the salad, but picture something fresh and green. The past two nights dinners weren't sitting so well with me, and although I was hungry for lunch, I really wanted something plain and simple — which is not to say tasteless. I found the perfect solution in a basic bowl filled with perfectly cooked and fluffy millet, black beans and baby kale, with tahini dressing. I was so happy! After lunch, we continued wandering the downtown streets looking for The Penny Ice Creamery, where Amey had told us to get the amazing vegan dark chocolate sorbet. Ahem. 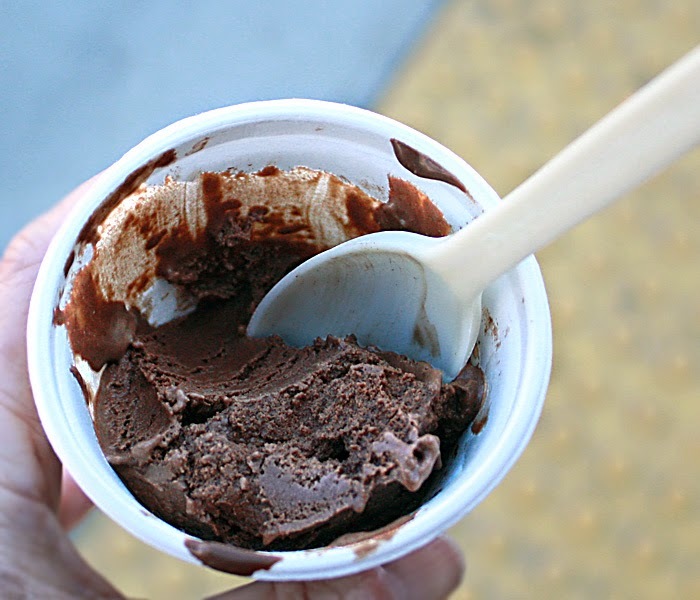 If I lived in Santa Cruz, I'd be in danger of eating dark chocolate sorbet at least three times a day. Amazing, yes. After the ice cream, we went to the Beach Boardwalk — kind of a beachfront amusement park and walking area. It had a similar, somewhat rundown, dive atmosphere that I remember from the old days on the Atlantic City Boardwalk — especially around Steel Pier, if anyone remembers that. There were great views across the beach and across the water, making it lots of fun to take photos. 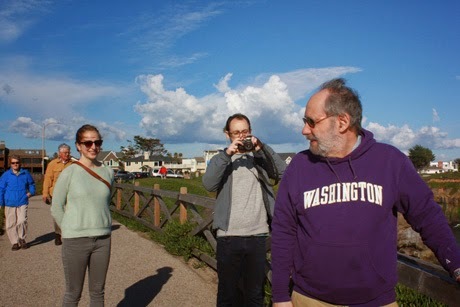 My three companions on West Cliff Dr. in Santa Cruz. Our last stop was also my favorite (not counting lunch and sorbet, of course) — West Cliff Drive. What a gorgeous spot to walk and enjoy the view. It was getting late and we still had one more stop to make on the way back to San Francisco — Mountain Feed and Farm Supply, one of Jordan and Alison's favorite 'garden' stores. 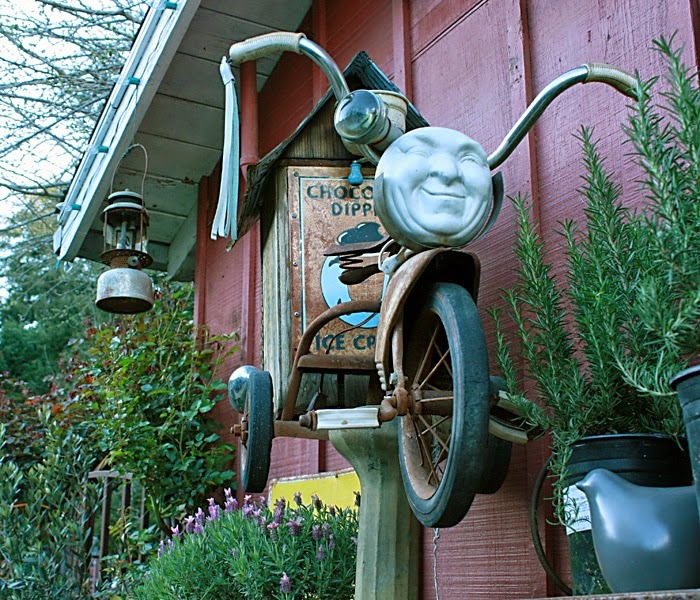 Calling this labyrinth of eclectic buildings a Garden Store is like calling Mall of America a shopping center. I mean, it is ... but it isn't. They did have plants, pots and gardening equipment, but also fantastic cooking equipment, pet food and supplies, and everything you'd need for canning, brewing, fermenting, etc., as well as the most helpful and friendly employees I've ever encountered. It took about three seconds for me to loose everyone in our little group, as we each became sucked into the various buildings and departments. The next day, Jordan and Alison went to work and Ken and I packed and got organized until it was time to go to the airport for the return flight. It was a short trip, but so much fun! 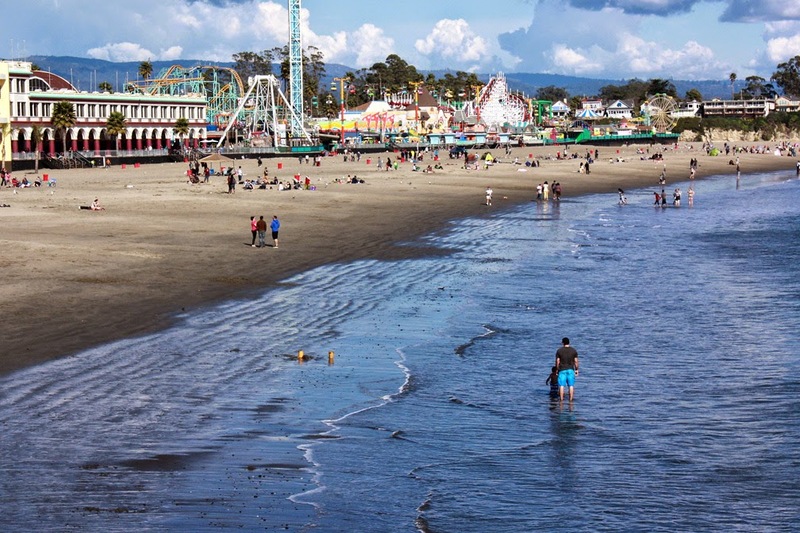 We just spent a terrific weekend in San Francisco with a day trip to Santa Cruz. We mostly explored beautiful spaces and ate, with a few shopping outings thrown in, and had a great, energetic but relaxing, mini-vacation. We arrived late Friday afternoon, and settled into our airbnb in Lower Haight. The small space was comfortable enough, but if I were renting out my place and charging rent plus a cleaning fee, I'd try to make it actually clean. 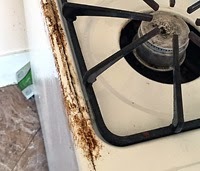 The stove looked like this, and the oven was 10 times worse — thickly crusted and greasy, as I discovered when I tried to warm up a snack. I scoured the kitchen sink so I could stand to use it — and we had to use it more than you'd think because the bathroom sink didn't drain. My husband wiped down the refrigerator door which was so gross even he noticed. Mostly it was OK, but I wouldn't stay there again. 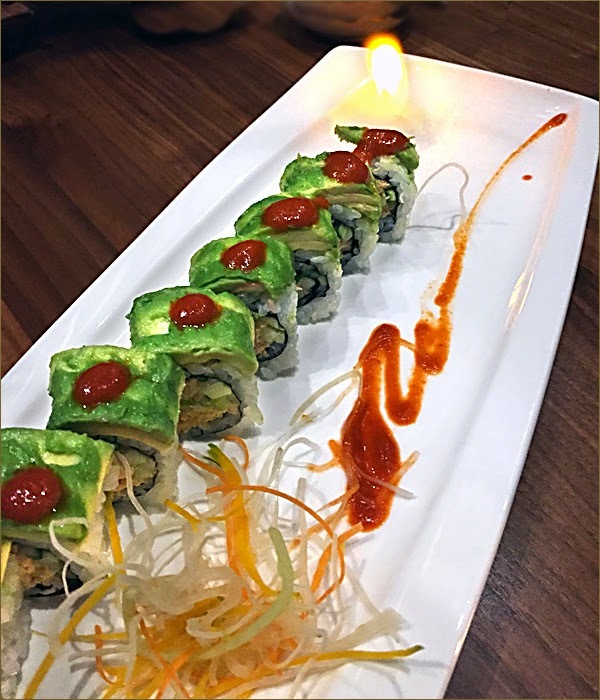 On Friday evening we went to a new vegan sushi place in the Mission, Shizen Vegan Sushi Bar & Izakaya, and I was very excited to experience a restaurant that served creative vegan sushi, since I'm usually limited to cucumber, avocado, or if I'm lucky, kampyo sushi. 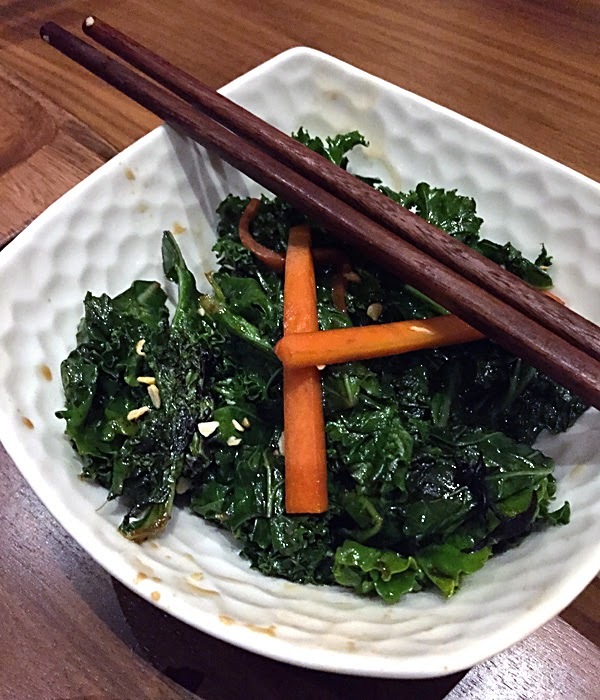 We started with a warm garlic-kale-hiziki dish that was extremely delicious. After the kale we shared two specialty rolls, but I'm really sorry I can't remember what they were. They were both so good I was practically inhaling them. The one above came flaming at one end of the plate, which was exciting. I can't remember what this one was, either, except that it tasted great. So great, in fact, that we ordered another one, but for some reason the second roll wasn't nearly as good as the first. Shizen Vegan Sushi Bar & Izakaya was not without issues. Though I enjoyed eating there, it was impossible not to notice the extremely slow service. I'm talking at least an hour wait before we were seated, another hour wait before the first dish came out, and maybe another hour before we had received and eaten all of our food. Everything was beautiful and delicious, but at least one of my (very hungry) dining companions was rather miffed. 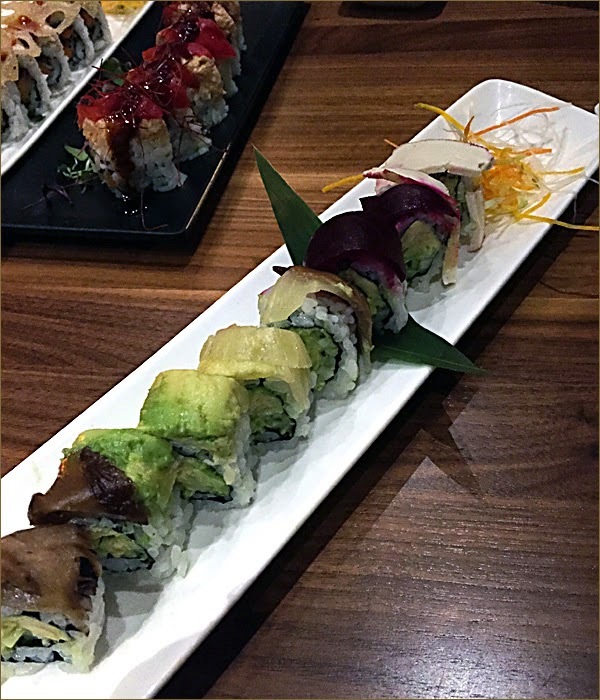 And since we ordered two of the same rolls, and the second one was not nearly as good as the first, there might be issues of inconsistency. 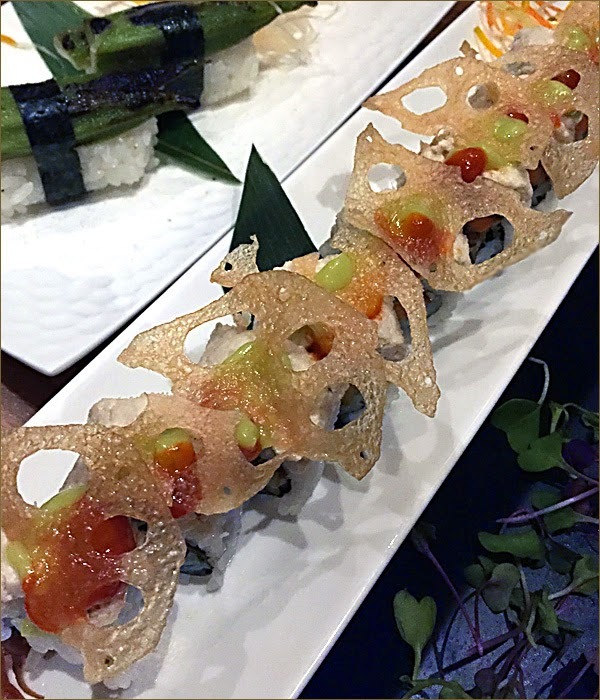 Still, if you are in San Francisco, you should try Shizen Vegan Sushi Bar & Izakaya. Hopefully they will only get better, if that's even possible. I will certainly go there again no matter how long I have to wait. My iphone app says I walked more than 12,000 steps on Sunday and even more on Saturday, but now I'm having trouble keeping it all straight. 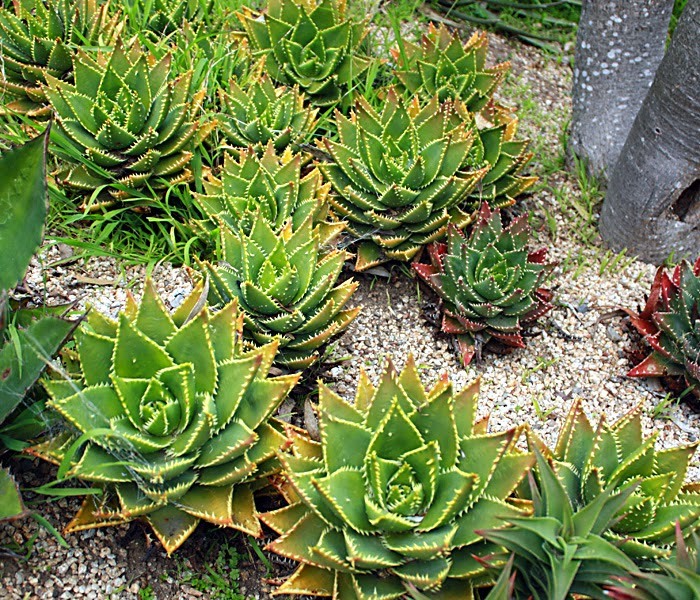 I know we went to the Botanical Gardens in Golden Gate Park on Saturday, where we strolled through the gorgeous gardens, including the succulent garden, above. 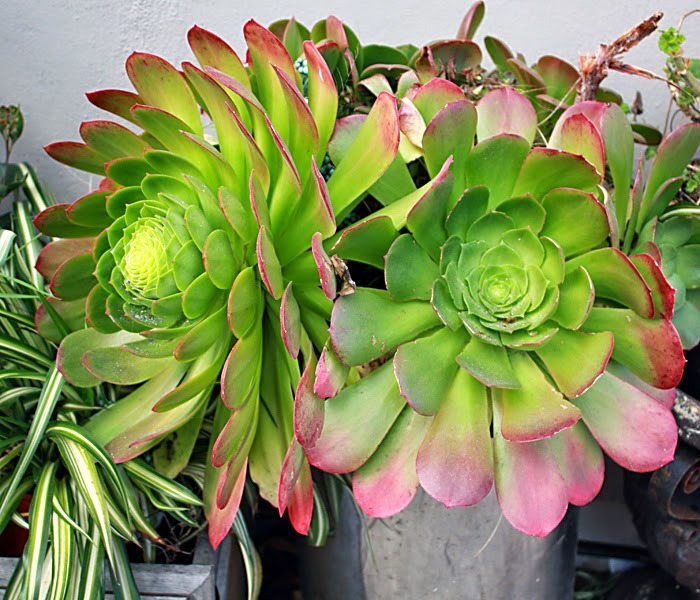 I love succulents, though I never can seem to grow the really big ones that I see all over San Francisco in pocket gardens and pots. After the gardens and a view from the top of a nearby museum tower, we went out to a late lunch at Seed and Salt. Alison and I loved our kale Caesar salads — so fresh, crunchy and tasty, with small squares of crispy, fried black-eyed pea tempeh and toasted sunflower seeds, and I think Jordan enjoyed his eggplant BLT. But my husband was much less enthusiastic about his beet burger. It was pricey at $14, and kind of small. I was stuffed after my salad but he was still hungry. I really loved Seed and Salt — both the atmosphere and the food, though it was on the expensive side, as you can see if you follow the link and peruse the menu. I'd absolutely go there again. After lunch we had a little shopping expedition to an enormous athletic store where Alison looked for bike gear for a ride she's going on, and the rest of us just wandered around looking at clothes and stuff. Then we headed to Rainbow Co-op which is the most excellent natural foods store I've ever been in. I wish we had a similar store in Seattle. I could find anything I could possibly want there, no matter how obscure. Alison and Jordan did their grocery shopping, and Ken and I picked up a few provisions for breakfast and the trip home. 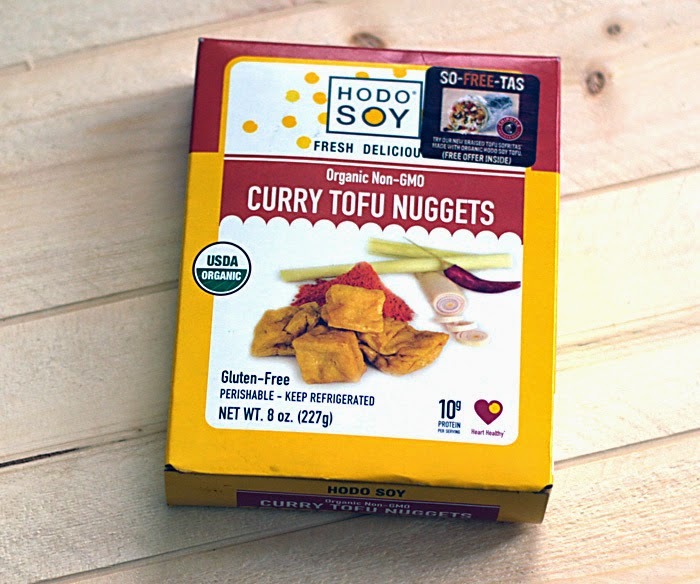 We bought one of Miyoko's Creamery cheeses as well as a package of chewy and delicious Hodosoy tofu and some Suzie's thin cakes crackers. My favorite crackers — next to Mary's. On Saturday night we picked up my niece, and the five of us headed to what used to be one of my favorite restaurants, Gracias Madre, for dinner. 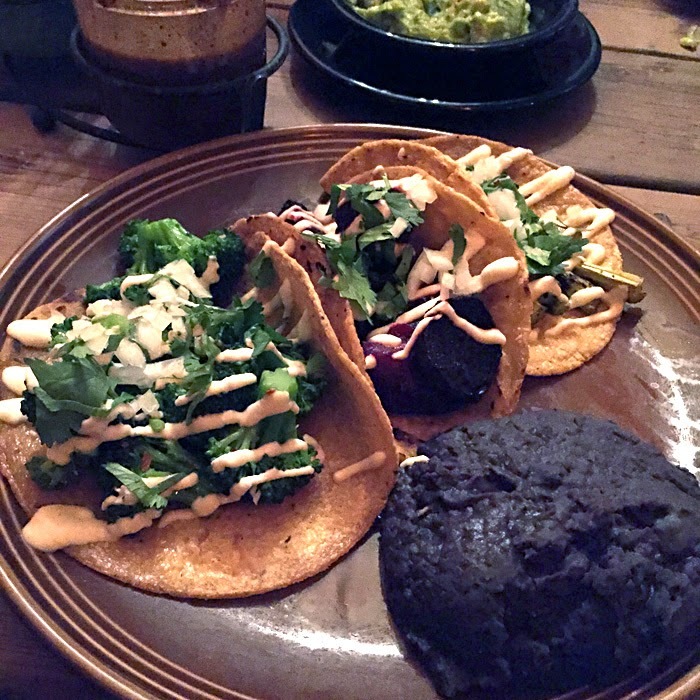 You can read about my other visits to Gracias Madre here and here. I say "used to be" because I'm now thinking the food is too heavy, or too oily or too something, because I had an upset stomach after my meal. Tacos and refried beans at Gracias Madre. It's so dark in the restaurant that my photos are not very mouthwatering, but I can tell you I had three tacos, one of which was filled with roasted beets, one with asparagus and one with broccoli, and a mound of refried black beans that looked like a big pile of decrepit poop, and which were too salty to eat. I ate some of the soft corn tortillas, all of the tasty vegetables, and none of the beans. Maybe it was an off night, but I wasn't as thrilled with the food as I usually am. Read my other posts for much more positive reviews. My husband had the evening special, and he described it as "OK but not great." On the other hand, Alison thought the same dish was delicious. So there you go. Dinner was late — there had been a long wait for a table, and by the time we got back to the airbnb, we were ready to do some quiet reading, and fall into a deep sleep. Giant succulents in a pot in front of our airbnb.